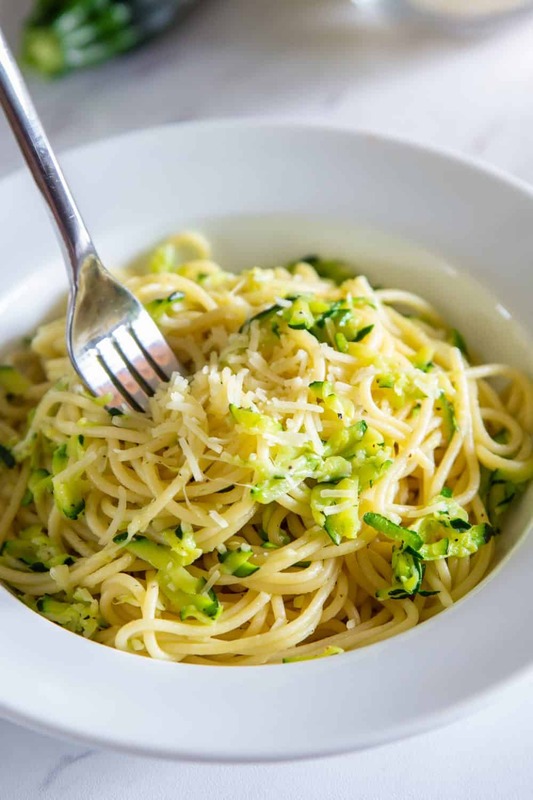 Savor this garlicky pasta recipe – it is tossed in sautéed zucchini and topped with shredded parmesan. 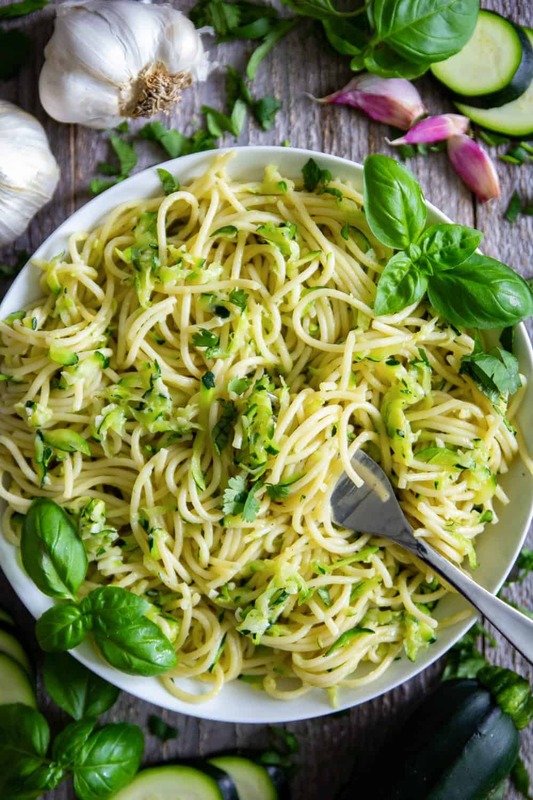 My pasta with zucchini recipe makes a quick and light summer dinner. Complete this summer meal with a summery dessert like my raspberry cream cheese danish or strawberry bundt cake. This recipe was originally posted August 1, 2018, we’ve tweaked it a bit since then. This post may contain affiliate links. Read my disclosure policy here. Ever since I was a child, pasta was a notorious weakness of mine. It still is to this day. Whether it’s in an Alfredo, tomato or olive oil based sauce, I’ll choose pasta over anything. Looking back to the old days when my mother and I would watch Food Network together, Rachel Ray was always a mutual favorite of ours. This incredibly delicious summer recipe was actually inspired by her. I made a few minor adjustments according to my taste buds, but you’re more than welcome to follow her original recipe. What I love most about this dish is that it’s so easy and quick to throw together. It has a mellow flavor yet richness from the Parmesan. It’s undoubtedly the perfect summer dish! If you love zucchini then try these chicken zucchini fritters. 1. Using a box grater, shred the zucchini, then squeeze out the juices using your hands. 2. Heat the olive oil in a pan over medium heat, then add the minced garlic. 3. Add the shredded zucchini and season with salt a pepper. Sauté the zucchini. Cook the pasta al dente and add the hot, drained pasta to the pan. 4. Give the pasta and zucchini a toss and add additional salt if need be. Adding salt to the water will enhance the flavor of the pasta at the end. How much salt depends on the other ingredients you will be adding to your pasta at the end. I typically add about a tablespoon of salt to the pot. If you are going to eating the pasta without many other ingredients, feel free to add a bit more. Pasta makes an excellent main course or even a side dish. Most people serve pasta with a baked chicken dish or pork recipe. Savor this garlicky pasta recipe - it is tossed in sautéed zucchini and topped with shredded parmesan. 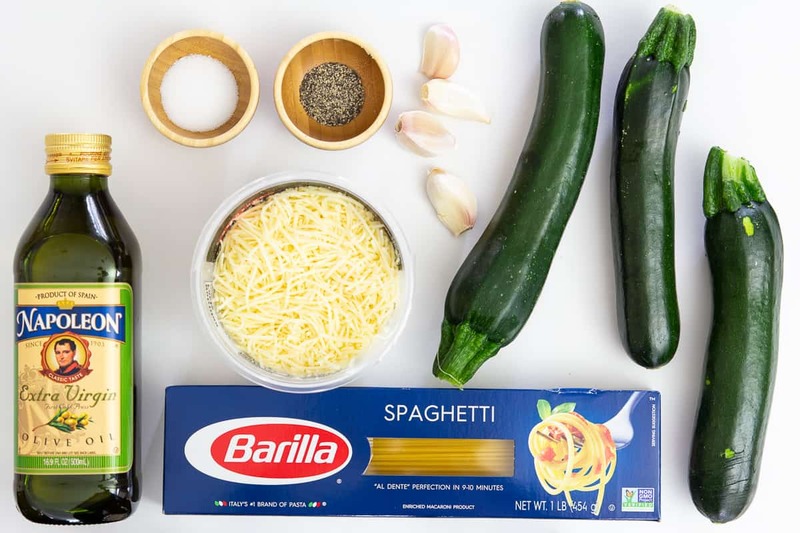 My pasta with zucchini recipe makes a quick and light summer dinner. 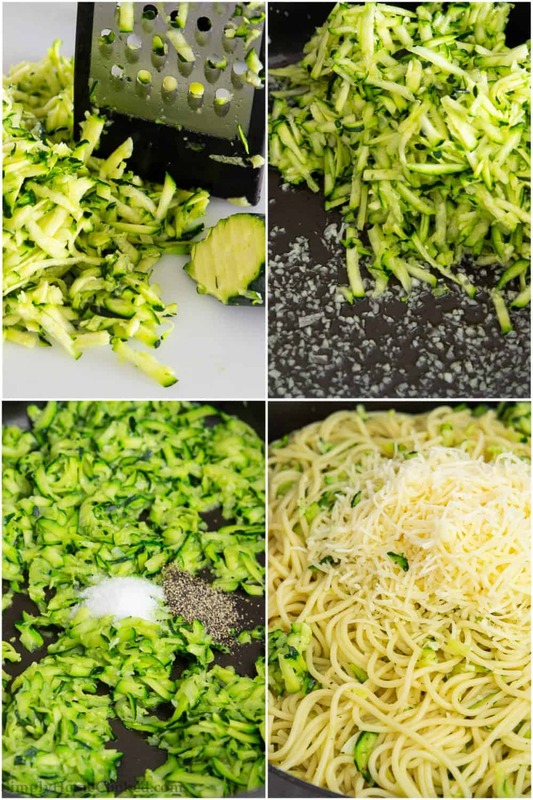 Using a box grater, shred the zucchini, then squeeze out the juices using your hands. Heat the olive oil in a pan over medium heat, then add the minced garlic. Stir until the garlic gives off an aroma and begins to sizzle. Add the shredded zucchini and season with salt a pepper. Sauté for about 5-7 minutes. Cook the pasta al dente and add the hot, drained pasta to the pan. Give the pasta and zucchini a toss and add additional salt if need be. Dina this is amazing spaghetti meal. Very yummy, very quick and cheap to make.Thank you so much for such quick recipes. My whole family loved it.